The U.S. Airman who helped stop a gunman on a European train is the guest on Jimmy Kimmel Live tonight and there was a big surprise for the Northern California man. 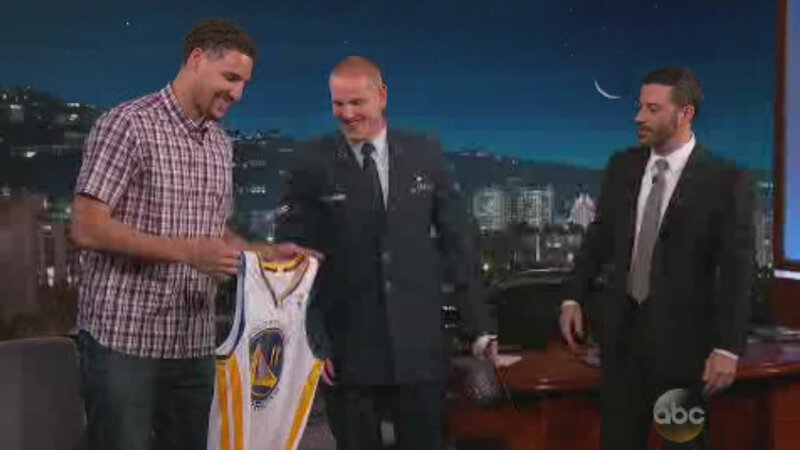 Warriors fan Spencer Stone got to meet one of his heroes, Klay Thompson. He got a championship hat and a jersey. But that's not all. Tune in to Kimmel tonight at 11:35 p.m. to see the big surprise he received and his joyous response.